Forest genetic resources represent the genetic diversity contained in thousands of tree species on Earth, and can be defined as the genetic variability of tree species, which has a potential or real value for humans (FAO, Plant genetic resources: their conservation in situ for human use, 1989). The increasing demand for wood, as a raw material for various purposes, as well as general useful forest functions, has made the protection (conservation) and directed utilization of forest genetic resources became a priority task of forestry science and profession. 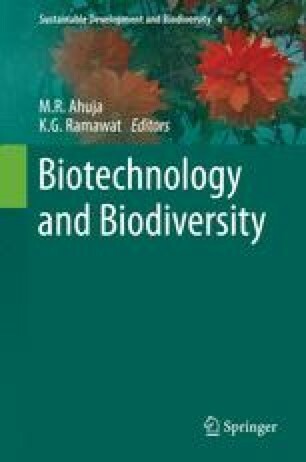 Conservation of forest genetic resources could be defined as a set of activities and strategies that are being implemented with the aim of ensuring the continued existence, evolution and availability of these resources for present and future generations. Conservation of these resources should be considered as the efforts to preserve specific genotypes or populations and the combination of genes within them. Therefore, the aim of genetic resources management is to improve conditions for the continuous evolution of the species, which represents the defense mechanism of organisms in suppression the environmental changes. Genetic variability, which is the result of different genetic processes: mutation, recombination, gene flow, natural selection and genetic drift, presents the basis for conservation of forest genetic resources. The principles of genetic variability conservation can be regarded as identical for all living beings. However, the methods which are applied vary depending on the specificity of the conservation goals, distribution and biological nature of the material that is the object of conservation.